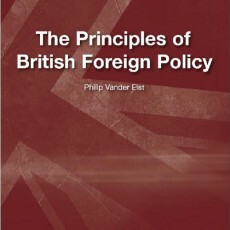 Should British foreign policy reflect any political and moral principles or should it merely be shaped by current conceptions of national self-interest, which may change from decade to decade? Does Britain have any particular long term or permanent interests as a nation state or are we living in an age so radically different from previous ones that none of the assumptions and traditions of the past have any relevance today? Has Britain's foreign policy traditionally had a special pattern to it that makes it unlike the foreign policy of other countries?